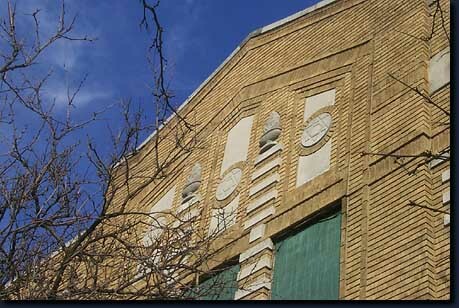 Tushiyah United Hebrew Schools is located a short distance behind the Detroit Institute of Arts in Detroit's Cultural Center. Its status is unknown as of this writing. The Lost Synagogues of Detroit is a dedicated to the shuls that are today mostly African American Baptist Churches.Includes information about Detroit, synagogue, synagogues, shul, jewish, jew, synagog, temple, Beth El, menorah, Shaarey Zedek, torah, mogen david, Temple Israel, Sinai Hospital, B'nai David, Beth Olem, Avas Achim, Beth Aaron, reform, conservative, rabbi, Adat Shalom, Israel, beth emmanual, schvitz, Albert Kahn and Butzel. Add Your Memory Just scroll to the bottom to the "Add Your Message Here" box.